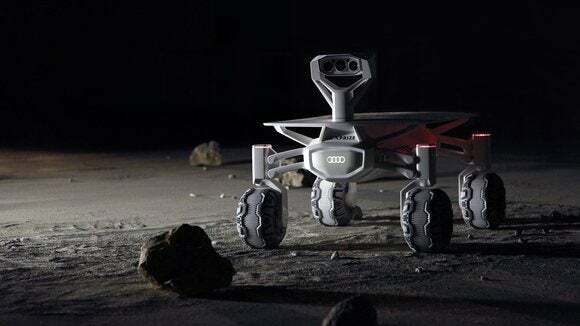 It’s not the usual type of vehicle you expect to see unveiled at the Detroit Auto Show, but on Monday Audi showed off a lunar rover developed with its assistance by a team of private scientists in pursuit of Google’s Lunar Xprize. 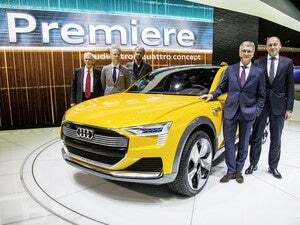 The Audi Lunar Quattro rolled onto the stage at the beginning of the German automaker’s news conference. The Google Lunar Xprize is a $30 million competition to develop and launch a vehicle that can be placed on the moon, successfully explore at least 500 meters and send high-definition video and images back to Earth. 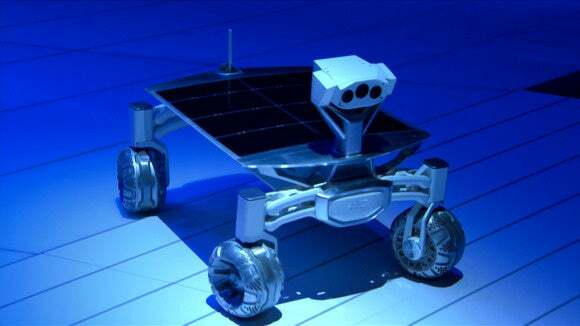 The rover has a large 300-square-centimeter solar panel across the top that recharges the Lithium Ion batteries. The wheels are electrically driven and can turn through 360 degrees. Its top speed is 3.6 kilometers (2 miles) per hour. The rover's most striking feature is probably the camera unit mounted on the front, which houses a couple of cameras so that it can take 3D images of the moon. Ten Audi employees are assisting the Berlin-based team that is producing the rover. The team's most senior member is Jack Crenshaw, who is credited with the trajectory calculations of NASA's Apollo program. At the Detroit Auto Show, former astronaut Gene Cernan, the last man to walk on the moon, came onto the Audi stage to talk about space research. He said he believes the U.S. space program doesn't get enough credit for the inspiration it provides young people. "If I can go to the moon, 43 years ago, there's nothing we can't do if we want to do it badly enough," he said.